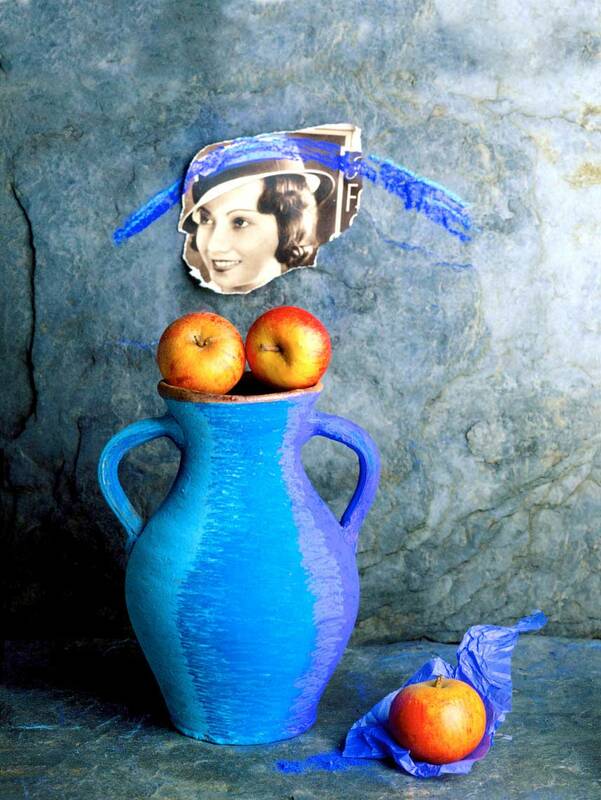 Jug Woman 1 - A pastiche and tribute to Picasso. Paul Biddle arranged the objects in the set and decided to add shading to the vase by applying pastel colour to it, the background is stone. Photographed on 4" x 5" film.